After months of attempting to negotiate with local residents in Fukushima, the Japanese government has abandoned its attempt to purchase land to store nuclear waste from the stricken Fukushima Daiichi reactors. Storing nuclear waste and preventing groundwater from entering the disaster site continue to be persistent problems for the government, with no clear solution. This inability is a key factor explaining why public sentiment remains so strong against restarting Japan’s nuclear reactors, despite newer and much more robust safety standards from the Nuclear Regulatory Authority (NRA). Instead of purchasing nearby land, Environment Minister Nobuteru Ishihara and Reconstruction Minister Takumi Nemoto met with Fukushima Governor Yuhei Sato and the mayors of Futaba and Okuma and proposed a 30 year lease for 230 billion yen ($2.25 billion). The Jiji Press reported that local residents had refused to sell their land because they believed the temporary storage facilities would become permanent if the land was owned by the state. The mayors of the respective towns said they would submit the proposal to their residents, but that it would take time to gain acceptance. 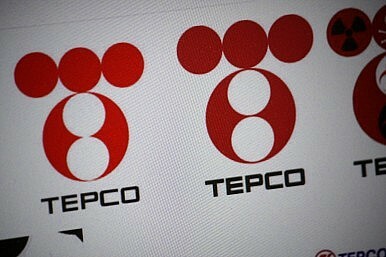 Additionally, on Monday Tokyo Electric Power Co. (TEPCO) finally admitted that an operation underway since May to divert groundwater from entering into reactor buildings was unsuccessful. TEPCO had been attempting to intercept the water before it entered the tainted facilities and divert it into the ocean, but so far “the utility has yet to see tangible results,”according to the Japan Times. There are reportedly 400 tons of water flowing into the contaminated area on average every day, with TEPCO’s operation intended to reduce that amount by as much as 100 tons. Instead, the company hopes to stop groundwater from entering by solidifying the nearby hillside soil with concrete. The government’s piecemeal approach to the waste problem generated by the Fukushima Daiichi reactors has done little to inspire the confidence of the Japanese population about plans to restart some of its reactors in the coming months. While Kyushu Electric Power Co.’s Sendai nuclear power plant passed the NRA’s new, more stringent safety inspections on July 16, 59 percent of Japanese people oppose the restart, according to an Asahi Shimbun poll conducted July 26 and 27. Even though the Sendai reactors only need to gain local acceptance in order to restart, these poll numbers indicate that a more general restart will continue to be met with resistance. The government has further plans to stem the flow of contaminated groundwater, for instance revamping its “ice wall” beneath the Fukushima Daiichi reactors by adding additional pipes and dumping as much as 10 tons of ice a day. However, until Japanese people feel there is an effective, long-term solution to the nuclear disaster in place, public opposition to nuclear energy will remain.